The Square Pose in yin yoga, is perhaps the strongest hip-opener in all of yoga. As can be expected, it is also one of the most therapeutic. I love the above quote from the USA's all-star basketball player! With all things in our life, if we ignore the soul aspect, we miss the bigger picture. When you practice Yin Yoga, you invite the possibility of including your soul. You are using your body as the instrument to let all of your emotions go, just as Kareem states. Your body must be included in your soul's experience, or dis-ease will develop! 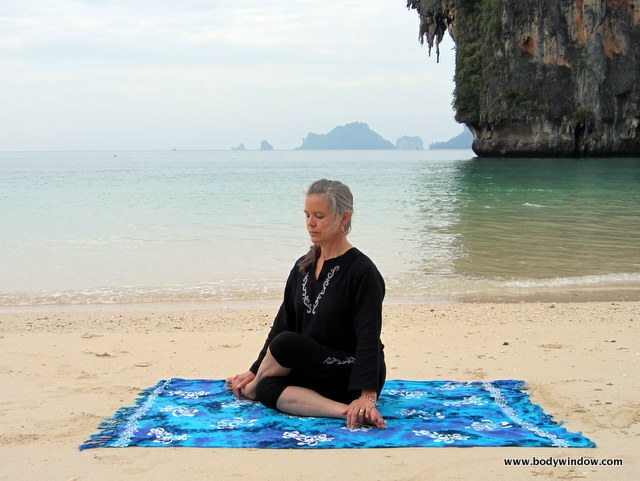 If you are unfamiliar with how Yin Yoga differs from other practices, you may wish to read my articles on it: What is Yin Yoga and Deepening my Personal Practice with Yin Yoga. It will enrich your practice. 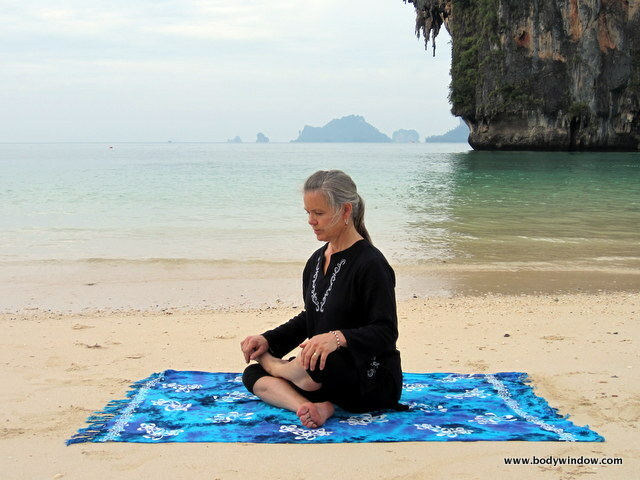 Why Should You Practice the Square Pose? Whenever we practice hip-openers, and the intense work deep into the hip, we invite the possibility of seeing our emotions. It is well known that the hip, or 2nd chakra energy area is a storehouse for old, unresolved emotions. The tighter your hips, perhaps, the more issues are waiting for you to notice. From a purely physical standpoint, increasing the flexibility and opening of the hip, also increases your range of motion. The juicing of the hip joints will help with your balance and help you age more gracefully. However, is anything really purely physical?? No, because what we do to our bodies, we also do to our souls. If we practice hip-openers, we open our lives, open our minds and open our souls to experience a deeper part of ourselves. Graceful aging, an open mind and open heart, all flow from an open body! Come to a seated position on the ground, legs extended, as in the Staff Pose. Cross one ankle over the opposite knee. Pull the lower ankle under its opposite knee, lining up the shins to be parallel to one another. See the first photo below. Please note that this is NOT a half-lotus position, where the upper ankle is placed on the thigh, or towards the groin. Instead, the upper ankle is over the knee, and the bottom ankle is below the knee above it. This creates a triangular shape if you look down between your legs. When you go to set up this pose, and find that it is too intense, try the Half-Square Pose first. This is a milder hip opener, yet still very therapeutic if you have tight hips. If your upper knee is not resting on your foot (mine is not in the above photo), you may place a small cushion or blanket under your upper thigh, or under your hips. I like to place my hand on my knee to add some weight as I settle into this starting position. If you feel strong pressure on the lower knee, you can place a blanket between your knee and ankle, OR you can just take the upper foot and place it in front of your lower shin, so you are sitting in a simple crossed-legged position. This may be enough of a hip-opener for you. If your back feels safe, you may begin to lean forward into the full Square Pose as shown below in the 2nd photo. You want your hips to be free to tilt forward, so again, you may chose to raise your hips on a blanket, if they do not tilt well. As you center yourself and begin to focus on your breathing, come to your first edge. If you feel an edge immediately, stay in the upright pose. Hold this forward folding for 3-5 minutes. You may wish to drape yourself over a yoga bolster, or large cushion to help support your upper body. Notice as you breathe into your hips, especially with belly breathing or ujjayi breathing, your body relaxes and the weight of your upper body may take you lower. Do not force this process. Release your effort. Stay with the breath as you await any unfolding. You may find, like I do, that as you fold forward, your upper knee will now touch your ankle, under the weight of your torso. This is good, unless you are feeling too much pressure on the knee. Return to a milder edge, if needed, so you can enjoy the pose and the process for a longer period of time. Resist the urge to fidget, so you can focus on your body's process of opening. Watch any emotions that may arise. Do not resist them, but meet them with your acceptance and awareness. Fully breathe and watch the emotions dissipate as you begin to notice them. This will feel like a beautiful release! This practice is a mindfulness technique, that uses your body to increase your awareness of your own internal condition. A practice that is essential to maintain your health. This is why some groups call this mindfulness practice "Insight Meditation" or "Insight Yoga." If you stay in the moment, with your breath, with your body, and with your inner states, you WILL receive insight into your soul! This, I promise. It is using your body as a window to your soul! Finally, don't forget to do this pose on the opposite side for 3-5 minutes. Your legs will be crossed in the opposite direction. While some yoga practitioners have adopted the Chinese Meridian theory to explain why yoga works for healing the body, I prefer to use the ancient East Indian Chakra energy system. While they really are describing the same thing, I feel the Chakra system is more intuitive. When you work into your hips, with the yoga practice, you are unblocking your 2nd Chakra. You are mindfully sending energy, through your breath, to this area for healing. In addition to the Yin Yoga poses, I have developed a full series of Chakra Healing Meditations. If you find that your hip area is an area where you need more work, please click on my 2nd Chakra Healing Meditation, for more information. Or, if you would like in-depth, personal help with your hip issues, please don't hesitate to contact me, and we can discuss my holistic health coaching services, to see if it is right for you and your healing process. I am here for you and would love to be your guide! 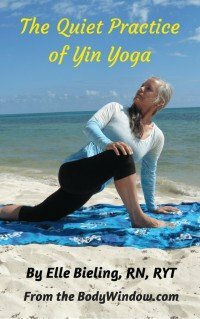 May you learn the practice of opening your hips to find your inner soul, through Yin Yoga's Square Pose! May your mindfulness practice help you heal your body, mind and soul!